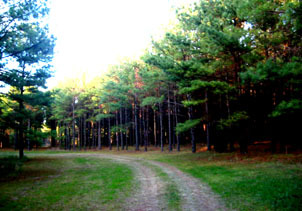 Looking For South Georgia Property, Land or Acreage? Call me today... If I don't already have what you are looking for, I will find it for you fast. "Georgia Seller and Buyer Property Brokerage"
The State of Georgia is a state in the United States and was one of the original Thirteen Colonies that revolted against British rule in the American Revolution. It was the last of the Thirteen Colonies to be established, in 1733. It was the fourth state to ratify the United States Constitution, on January 2, 1788. It seceded from the Union on January 21, 1861 and was one of the original seven Confederate states. It was the last state to be readmitted to the Union, on July 15, 1870. Georgia is the ninth-largest state in the nation by population, with an estimated 10,134,710 residents as of September 1, 2008. It is also the third fastest-growing state in terms of numeric gain and fifth in terms of percent gain, adding 202,670 residents at a rate of 2.2 percent. From 2006 to 2007, Georgia had 18 counties among the nation's 100 fastest-growing counties, the most of any state. Georgia is also known as the Peach State and the Empire State of the South. Atlanta is the most populous city, and the capital.